Now that we’ve GoT the clashes and big battles out of the way, I’d like to key in on my personal favorite scenes. The smaller, quieter moments (comparatively) that showcase to me what Game of Thrones is really all about: prestige actors acting opposite one another and fully inhabiting a world. It’s an unspoken or purely spoken joy that I don’t feel we often recognize because DRAGONS. To be fair, dragons are pretty awesome. These ten moments below, they’re pretty spectacular too. What were your favorites? You’d be forgiven if you don’t remember this scene. Season 3 represented the show’s quantum leap in quality and elegance, best exemplified here. The episode itself opens with a similar quiet moment, and it’s amazing to see such a stellar cast express their characters without words but in their walk, their chin; their silence or what they do with that silence. Tyrion seizes the glory of this meeting of the small council by procuring himself a proper chair and placement. Never before has a chair being dragged across the floor sounded so glorious. A rare heart-warming moment involving Stannis. But (*Dumbledore voice*) it is also a lie. Imagine for a moment watching this scene as it premiered, not at all anticipating what may or may not happen to Shireen. (In which the whole heart-warming bit becomes painfully cruel irony.) Imagine if there was no after to this scene; just this to leave you be. Stannis is a hard man, which makes the tenderness on display so affecting even with his removed stature – about as expressive as Stannis will ever be. But it’s Kerry Ingram who completes the scene, her trying not to cry and failing before her father, her sudden embrace of a man she never got to know, but that this moment between them is enough. Seven Hells, who’s cutting onions right now? 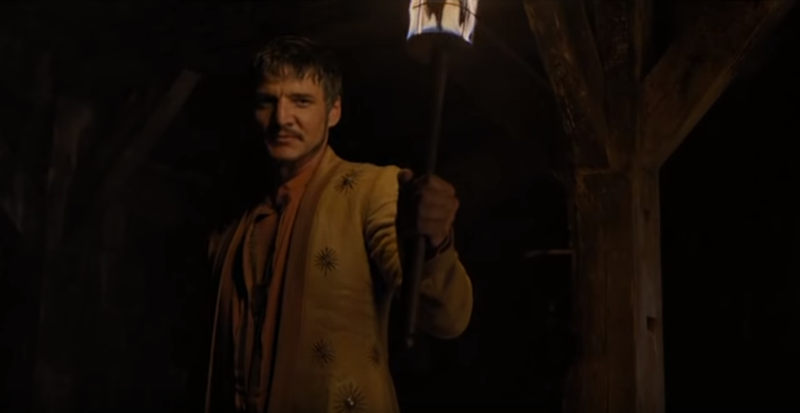 Pedro Pascal ruled so hard as Oberyn Martell that the show’s subsequent Dornish storylines – and performances – could not possibly measure up. (More on that later.) Pascal straight up oozes swagger and authenticity; I could listen to Oberyn tell that anecdote of his first time at Casterly Rock all day. This comes at a moment when Tyrion’s luck seems to have run out, him having punched his last line. In comes the Viper, seeking an opportune moment to see through to his long-awaited vengeance. It might’ve been too good to be true, but Oberyn’s tenure as a wild card in Season 4 was madly entertaining. Diana Rigg was good, so very good as Lady Olenna – as definitive for her character as Charles Dance was to Tywin. She gets a proper sendoff when, despite being outmaneuvered by Cersei, she gets the last laugh. Jaime offers her mercy and Olenna does not hesitate to drink the poison, just as she wastes no time in gutting Jaime whole. I don’t think I’ve ever seen that before, certainly not with such grace: Lady Olenna loses the battle, but walks away with the scene. Kingslayer, meet Kingslayer. Jon and Sansa have never been in a scene prior to this, and that’s precisely what makes it so emotional. It might be our first time seeing them together, but between them there’s a shared history, and it mends solemnly as two disparate, damaged, yet surviving Stark children are reunited. Everything that’s happened to them in the past 5 seasons fills that enormous void. They are far from strangers, even further from the children they were when they left Winterfell. For all we knew, they were to never see each other again, and yet, against all odds and Seven Hells, here they are— the most earned hug in the show’s history. We first meet Tywin instilling upon his son with the mighty weight of the Lannister legacy (while butchering a stag, no less). It is in this conversation with Jaime that we gather a hint of the crushing expectations of familial responsibility. And later, we see how that same expectation is wielded as nobility, wherein family becomes more burden than duty, more business to uphold than an ideal to nurture. The Lannister family never shared the same scene all at once, but the siblings shared the same tormentor in a father who speaks in breathtaking absolutes. We knew who the real power was simply by the way he spoke to his children. (He simultaneously honors and eviscerates them when he says, “My children.”) Tywin won’t be winning any Father of the Year awards, but as the patriarch of the entire Seven Kingdoms, he completely and utterly ruled. Up until this scene, a great deal has been surmised about Jaime. Kingslayer. Oathbreaker. Man Without Honor. Like his brother Tyrion, he learned to wear these taunts like a distinguished suit of armor, and he wore it well. But as we’ll come to learn in revisiting the past, what’s been said is never the same as the truth. Nikolaj Coster-Waldau is sublime in this gut-wrenching monologue of Jaime’s Kingsguard namesake, of having killed the Mad King – virtually saving King’s Landing from wildfire destruction – and the hypocrisy everyone pretending Jaime should’ve stood by his vows. The scene is damn near artful too, his reflection rippling, like a legend blurring, lost in time; the idle flames in the background, and the smoke billowing from the tub as if something melting away, or a man being reborn. THIS is how you call out someone— to their face. Only twice have we seen Petyr Baelish vulnerable, or reveal his true self: in front of Catelyn, and here with Sansa. Everything he foretold and put into play in Season 5 went caput, but it was Sansa who suffered for those failed plots. The chickens have come to roost (and the tea is piping hot). Watching Baelish get dragged is its own joy, but Sansa maintaining her fortitude – like her mother before her – is oh so satisfying in both its symmetry and delivery. Of her siblings, Sansa’s gotten the short end of the stick: Jon came back from the dead, Arya becomes an assassin, and Bran is the Three-Eyed Raven. Sansa is stuck being human, which is why her journey out of them all feels the most tangible, her transformation the most rewarding. Sophie Turner’s performance here validated why we didn’t need Lady Stoneheart. What we needed, all along, was Sansa. I suppose I’m cheating here because this is one giant sequence, but man it is so superbly directed. Alik Sakharov deftly maintains this verbal jousting of lies and symphony of eyelines, making splendid use of the pointed silences and empty gestures. (The pause of the court as Pycelle remarks of Joffrey, “the most noble child the gods ever put on this good Earth”; the cut to Cersei’s empty chair as a sister condemns a brother.) The angles, the close-ups, the panning of the camera are so controlled that not a single detail is lost on you. No small feat, considering this is a 20-minute sequence that could’ve otherwise drowned the audience in tediousness. Instead, Tyrion’s trial is Game of Thrones at its most dramatically compelling. 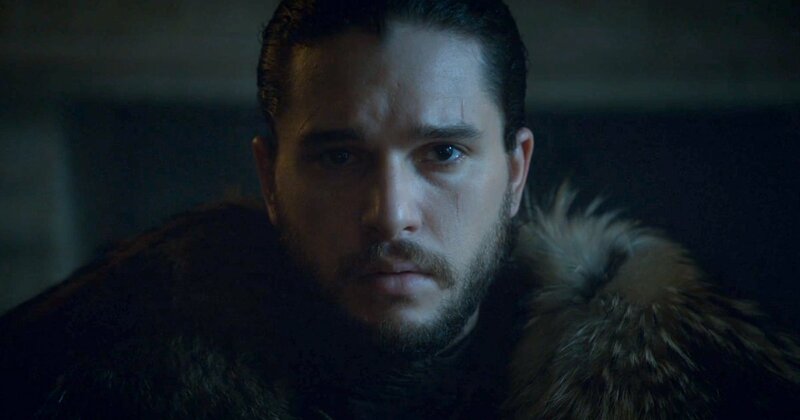 Ever since the show caught on fire, book readers have gone at length on the forums regarding 2 things: Jon Snow’s true parentage, and Jon Snow’s fate. (The show premiered the same year as A Dance of Dragons came out, wherein Jon Snow’s journey seemingly comes to an end.) Season 6 is all the more remarkable for what it reveals, that not only Jon Snow lives, but that he’s Stark AND Targaryen. (The reveal doesn’t explicitly name Rhaegar as his father, but the lot of us had been anticipating this long enough to know better.) Both revelations were axis-tilting, laying theories to rest and validating our investment in this epic song of swords, dragons, crowns; of ice and fire. Expectations are always hard to live up to, but here Game of Thrones came through. There’s been no other scene I’ve watched over and over as religiously as Cersei’s supposed trial in the Season 6 finale. It’s the episode’s opening sequence and my, what a banger. Composer Ramin Djawadi has always been MVP behind the scenes. In “Light of the Seven,” he gets the starring role. I’ve never heard music so thoroughly and lushly used to tell the story. Often, the score accompanies the scene; we’re so used to music purely as background. There’s a Baby Driver like approach here in its reversal – the images shown instead accompany the score. You can simply listen and envision all the twists, deaths, and moving parts through the song’s operatic melodies and ominous arpeggios. 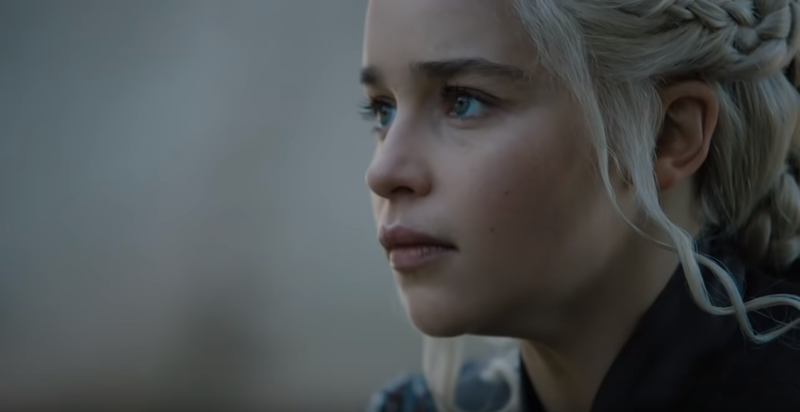 With all due respect to the dragons, the big battles and game-changing reveals, the Light of the Seven is what Game of Thrones does at its unadulterated and orchestraic best. It’s also the bold completion of Cersei’s iconic Season 1 words now made a prophetic end: “When you play the game of thrones, you win or you die. There is no middle ground.” Bell drop.